Did You Find The Chew Toy You Need? 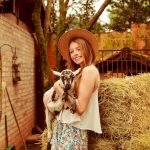 Looking For The Best Dog Chew Toy For Aggressive Chewers? Everyone’s dog ends up with a different personality, however most dogs start out as aggressive chewers, tearing right through TV remotes, cell phones, and anything else in sight. Luckily, a lot of dogs grow out of this phase and generally dogs lose interest in chew toys all together as they get older preferring bones and treats. Some of us are not so lucky, and we are stuck with aggressive chewer’s for life. That’s why we’ve searched the internet to bring you the five best dog chew toys for aggressive chewers. We’ve done this because we know how awful it can be to come home to your carpet, clothes, and couch cushions being torn to pieces. 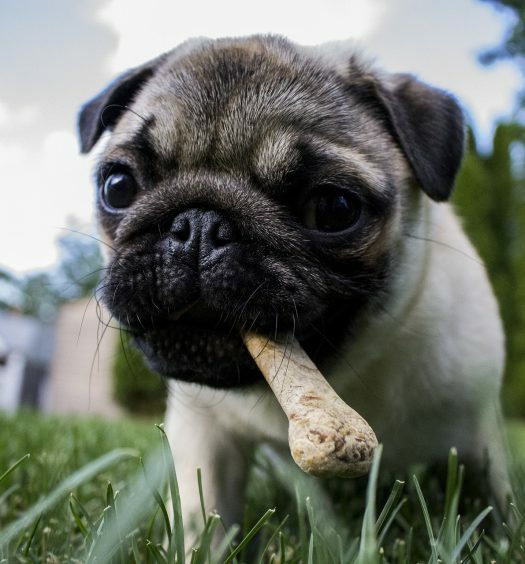 We’ve hand selected the top five dog chew toys for aggressive chewers based on overall durability, the item’s popularity with other dogs, and also the affordability of the chew toy. 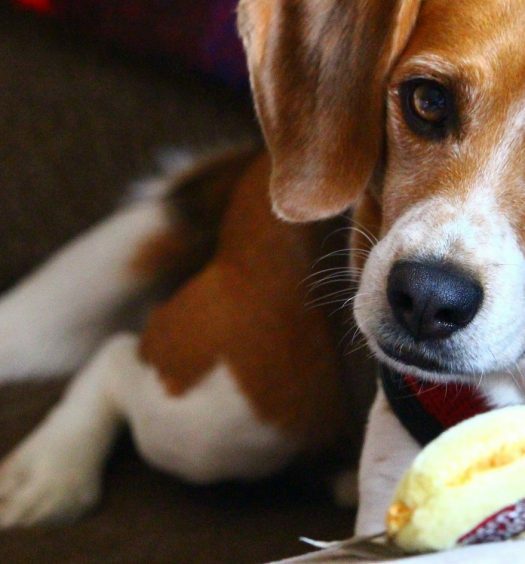 Now, let’s dive right in and take a look at the best chew toys for your dog. Of course the Kong Classic Dog Toy is our top choice. 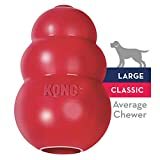 The Kong classic has everything you’d want in a dog toy for aggressive chewers and it’s practically indestructible. Kong’s are so popular because they stimulate your dog’s instinctual needs. Another reason dogs love the Kong is because of its unpredictable bounce during fetch. You can stuff almost any snack into the Kong and veterinarians and trainers recommend this dog toy from coast to coast. You’ll never stop hearing about the Kong. Next up is the Nylabone DuraChew Ring Dog Toy. 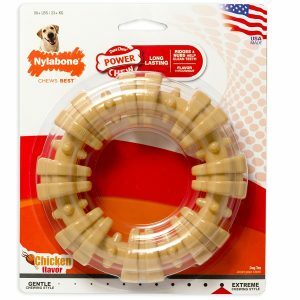 Nylabone is known for making some of the most durable chew toys on the market. 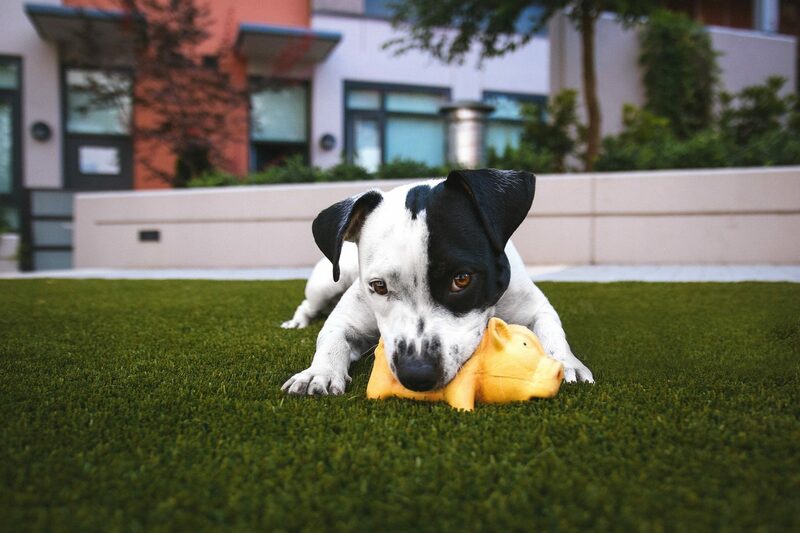 The ultra durable nylon material is perfect for aggressive chewers and it known to keep dogs busy for hours. The DuraChew ring toy comes in a chicken flavor so you can be sure your dog will love to chew this toy. The Nylabone DuraChew is known as a power toy because it has been proven to stand up against large breed aggressive chewers. Next up is the Oneisall Bone Chew Toy. 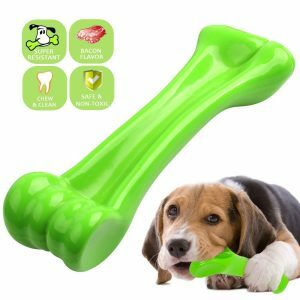 This dog chew toy is also made out of nylon, mainly because that’s one of the most durable dog chew toy components you will find. The Oneisall toy, like its name implies, is an excellent solution for all dog types and sizes. Additionally, the Oneisall bone chew toy also doubles a teeth cleaning device for your dogs mouth. While it’s no replacement for a full dental care kit for your pup, it’s not a bad alternative if you’re not all that into cleaning your dog’s mouth. Now let’s take a look at a slightly different dog chew toy, the Snug Rubber Dog Balls. 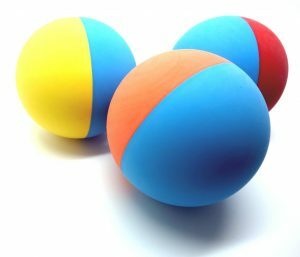 Colorful dog balls are perfect for fetch with dogs who don’t have the best sight and coordination since they’re easy to see. The vibrant colored balls seems to stimulate your dogs play more than your average tennis ball. These balls are FDA compliant and BPA free, so you don’t have to worry about your dogs health like some other plastic & rubber toys. The food grade heavy duty rubber is extremely thick, tough and durable for even the most aggressive chewers. Additionally, the balls are easy-to-clean and great for swimming pools if you happen to have a swimmer. 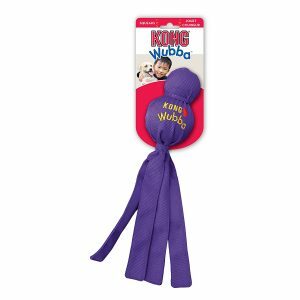 Finally we recommend the KONG Wubba Dog Toy. 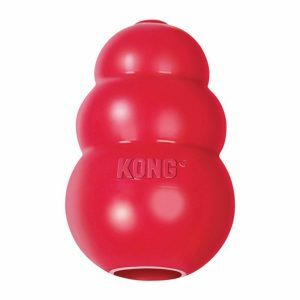 Everyone’s heard of Kong before, there name is almost synonymous with dog toys nowadays. That being said, we had to include the renowned Kong Wubba dog toy on our top five list. The top part is a tennis ball, beneath that is a squeaker, and the outside is coated in reinforced nylon fabric covering two balls altogether. Also, the long tails make it easy to pick up and throw without having to handle the slobbery mess that is a typical dog toy tennis ball. We’re confident you won’t find better chew toys for aggressive chewers on the market. No matter which dog toy you end up selecting, you’re going to be satisfied with the results. All of the chew toys on our list have been tested against the most aggressive chewers so you can be sure they’ll last.